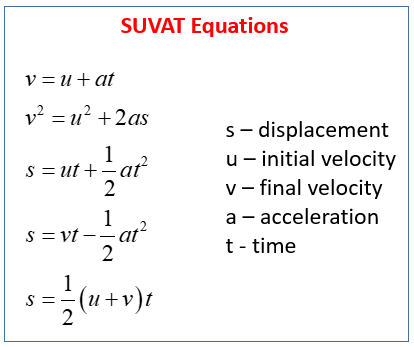 The following table gives the five SUVAT equations that can be used when an object has constant acceleration. How to derive the suvat equations? How to use the suvat equations? How to derive the 4 main SUVAT equations graphically?